This back to back event allows you to pick a distance and run either Saturday July 27th or Sunday July 28th OR there is an option to run BACK TO BACK races (same distance) over both days. It will be a looped route with breath-taking views of the surrounding counties amongst the forest on a compact gravel finished road. 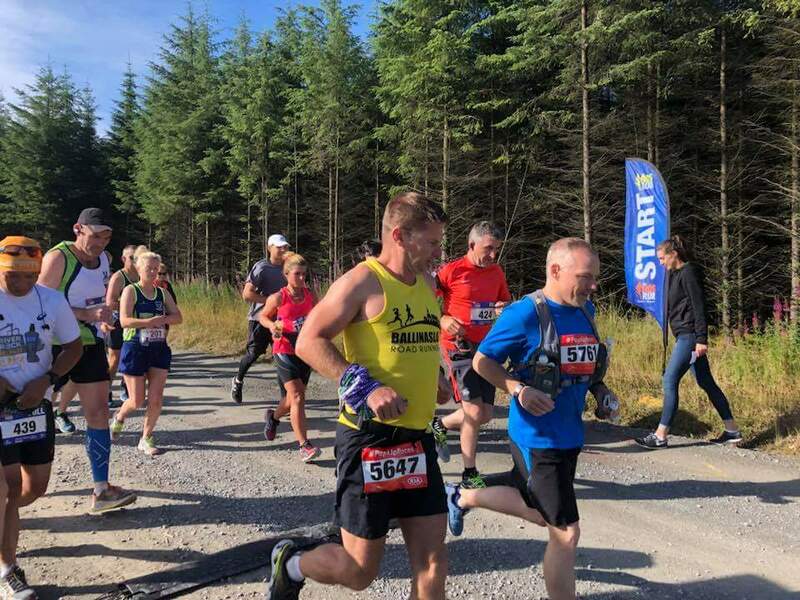 This route starts and finishes up on Sliabh Bawn mountain which is located on the Lanesboro to Strokestown road, 10 mins from Roscommon town. Sliabh Bawn is now the home of a wind farm providing sustainable energy provided by board na Mona and Coillte. Slieve Bawn is a small but highly significant mountain set among the lakes and flatlands of eastern Co. Roscommon. This gives a view of approx 250kms – almost coast-to-coast – one of the widest in Ireland. Water stations will be provided on the course and finish line. Hot food for all participants after the race. All finishers will receive a t-shirt and a medal. Your email will go directly to the race organisers. If you don't receive a timely response, please don't hesitate to contact us on office@popupraces.ie and we'll do our best to help.